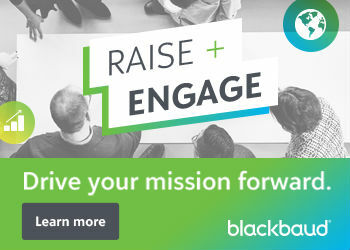 April Fools’ Day Website Prank – Did we fool you? IT Director, Karl, and I have been dreaming about this little April Fools’ Day prank for over a year. We brought in our Drupal consultant, Mark Burgess, to create some funhouse-style CSS and asked Membership Director, Megan, to contribute some of her signature bad puns and goofy jokes to the April Fools’ Day beta launch announcement blog post. Seriously though, the NTEN staff, with help from wonderful consultants, have been making big strides towards the website redesign. Karl and Marketing & Publications Director, Joleen, give their updates below. A big focus of our redesign has been to improve our Members’ online experiences when logged into our site. We’ve overhauled everything here, from creating or editing an account, joining or renewing Membership, to registering for an event. While it’s still not a perfect system (yet), we hope this new site will be a big improvement in terms of usability. From a design perspective, we’ve taken advice from our Community and will be enhancing the reader experience for our three flagship publication areas: the monthly Connect Newsletter, quarterly NTEN: Change journal, and research reports, making it easy to access and read on a mobile device, browse through other content, and check out other articles on related topics. The most significant change will be with the NTEN: Change journal. 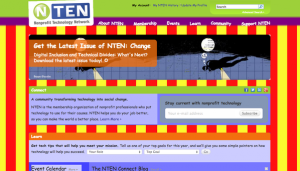 True to its name, the NTEN: Change journal will be, well, changing. Starting with the next issue in June, we will be hosting this on our website, instead of on Issuu and in a PDF. This will enable readers with an infinite scrolling functionality and a clean, minimalistic reading experience. We can’t wait to unveil this in June. One final note on the upcoming redesign is that this is only the first phase of the project. Even as we’re putting the final touches on the new site, we’ve already started to compile a list of features and improvements to tackle in the next round of work later this year. We’re also in the process of hiring an in-house Web Developer to help keep things moving forward, as well as budgeting for continued outside development for bigger ticket functionality. So that’s really all just a long way of encouraging you, the NTEN Community, to help keep us accountable and let us know what’s working, what’s not working, and what we could be doing better. 48 websites in 48 hours? No problem.